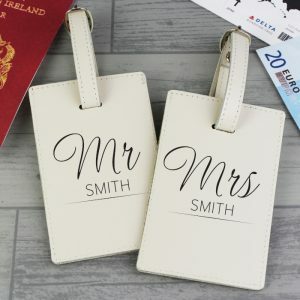 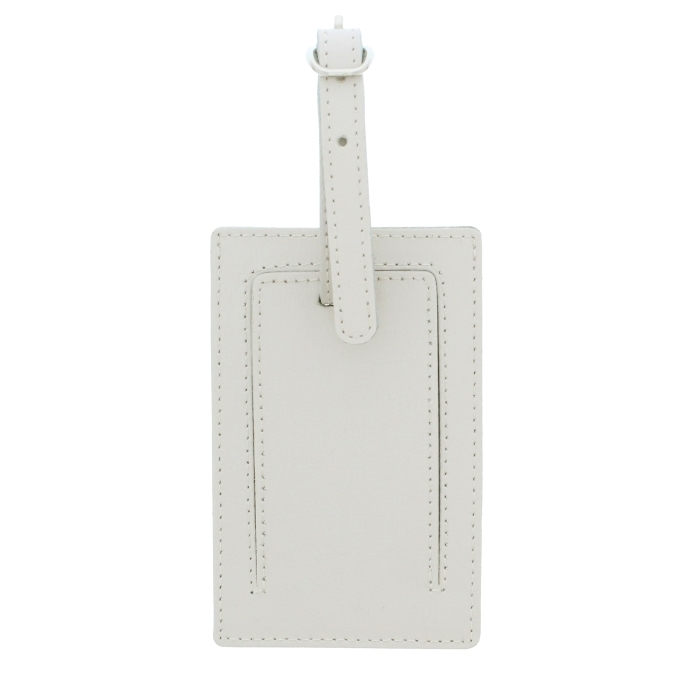 This Personalised Personalised Classic Initials Cream Luggage Tag is the perfect way to travel in style. 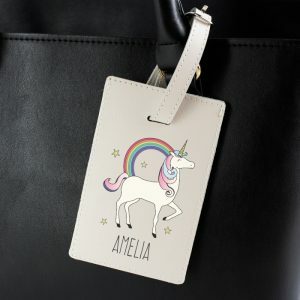 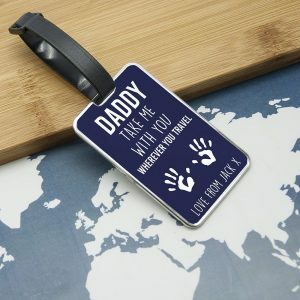 Made with genuine leather this stylish tag fastens with a secure buckle and is ideal for attaching to the handle of a suitcase, rucksack or handbag. The tags also features a discreet identification window to add a card with your contact details. 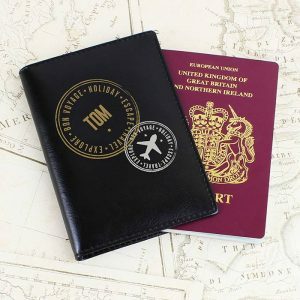 A simple yet classy summer essential that you can personalise with any 3 characters, and is the perfect present for a regular traveller. 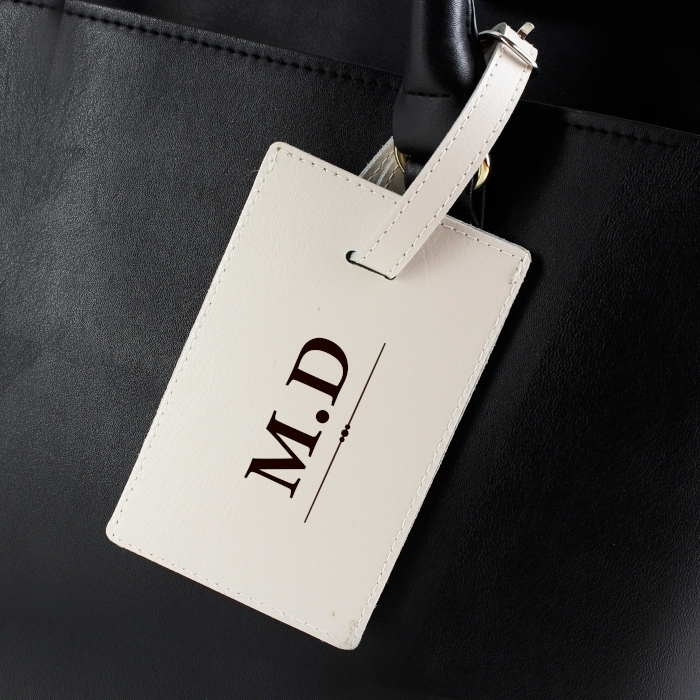 The chosen initials will be appear in upper case. 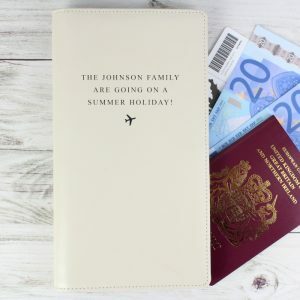 A jetsetters best friend and a lovely Birthday or just because gift for family and friends.